Reducing air pollution can save lives and save the Arctic. That was the message I gave to a parliamentary committee yesterday. The Environmental Audit Committee is a house of commons select committee tasked with scrutinising the government’s performance on environment matters. They are currently holding an inquiry into protecting the Arctic. The Committee had previously heard from several leading climate scientists, who gave a very bleak account of the rapid warming that the Arctic is experiencing. Even by conservative estimates, the Arctic is warming at twice the rate of the rest of the planet. Yesterday it was ClientEarth’s turn to inform the Committee about the significant part that black carbon is playing in the destruction of the Arctic. Black carbon is a component of particulate matter – microscopic airborne particles that are emitted into the air through the combustion of some types of fossil fuel. In the UK, diesel engines are one of the main culprits. ClientEarth have been working on air pollution for nearly three years, with one of the main aims being to reduce levels of these harmful particles in London’s air. The main reason for reducing this type of pollution is to protect human health – according to the Mayor’s own figures, 4,300 Londoners die early each year because of exposure to particulate matter. But black carbon also has an impact on regional and global climate. It does this in two ways. First, because it is dark in colour, it absorbs the sun’s energy while airborne, and warms the atmosphere. Second, when it lands on snow or ice, it reduces the reflectivity of those surfaces, so less of the sun’s energy is reflected back into space. There is a growing consensus that black carbon is playing a major part in global warming, with some scientists estimating that it is responsible for 40% of the warming we are currently experiencing. These effects are even more pronounced in the Arctic, Antarctic and glacial regions. But it’s not all bad news. Reducing black carbon is relatively straightforward. We can do it using technology that is available and relatively inexpensive. For example, in the developed world, where transport is the main source, we can fit filters to diesel vehicles to trap the particles before they are emitted into the atmosphere. In the developing world, where most black carbon comes from wood burning for cooking and heating, replacing open fires with more efficient closed stoves is a simple, low cost solution. Most importantly, these measures will have an almost immediate impact on climate. This is because black carbon is what is known as a “short-lived climate forcer” – it circulates in the atmosphere for only a matter of weeks after it is emitted. By contrast, carbon dioxide stays in the atmosphere for centuries after it is emitted, so cutting carbon dioxide emissions can only manage climate change in the long term. So while no substitute for cutting carbon, black carbon reductions can be thought of as an emergency brake – to slow global warming in the next two or three decades. This will buy us vital time to make the switch to a low-carbon economy, while avoiding dangerous “tipping points” such as the loss of Arctic sea ice, which could send us down a one-way street towards runaway climate change. 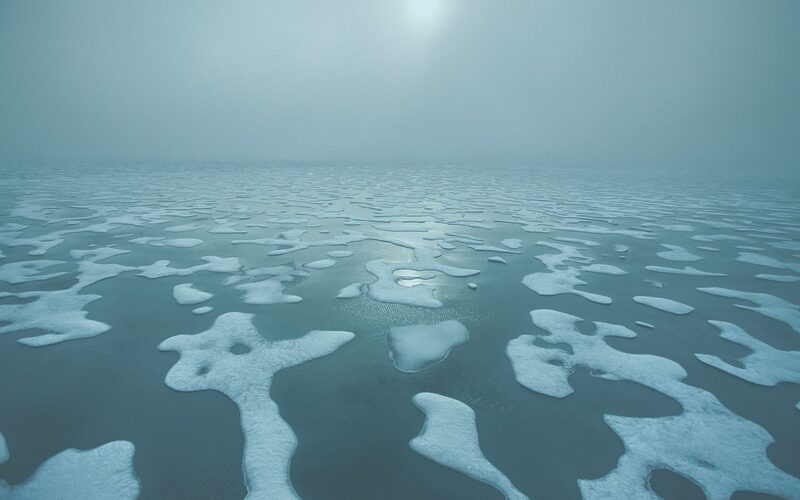 Recent studies concluded that reducing black carbon and other short-lived climate forcers could reduce regional warming in the Arctic by approximately two-thirds over the next 30 years. Cutting black carbon would also have huge benefits for human health, reducing the number of early deaths and chronic disease caused by exposure to black carbon and particulate matter. It is the ultimate “win-win” environmental policy. The Committee wanted to know what the UK government should be doing to tackle black carbon. My main message was that the UK should use its considerable political clout to get black carbon on the agenda at the EU level. But to do that, we must first get our own house in order. That means the UK government will have to start taking air pollution seriously – ensuring compliance with EU air quality limits and making a concerted effort to clean up the old diesel vehicles that continue to pollute our towns and cities. With the Arctic disappearing at an alarming rate and 30,000 people dying each year, there is no time to waste. On the 14th March the Committee will be hearing from Shell and Cairn – two energy companies with major interests in the Arctic. We’ll be watching closely.